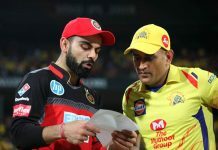 The battle of the IPL 11 continues and all the teams are putting their full strength to win. The 15th match of the IPL season 11 is between Rajasthan Royals and Kolkata Knight Riders at the Sawai Mansingh Stadium in Jaipur. Royals captain Ajinkya Rahane, KKR are led by Dinesh Karthik. Rajasthan Royals are playing on home ground, so it is certain to get the benefit. If we talk about the last matches in IPL, Rajasthan Royals appeared to be strong against their opponents. The Rajasthan team trying to get the third consecutive win in the IPL against Kolkata. After defeated by Sunrisers Hyderabad in the first match, the Royals have won two consecutive matches. Royals defeated Delhi Daredevils by 10 runs in the rain-affected encounter and defeated Royal Challengers Bangalore by 19 runs on the same ground. Both teams have not made any changes in their playing XI for this match. Welcome to our live blog of KKR vs RR, IPL 2018 15th match. First of all, Happy Birthday to the IPL. Yes, the IPL T20 was born today in 2008. KKR Inning: Sunil Narine scored 35 on 25 balls, with the help of five FOURs and one SIX. He was run-out by Unadkat/Jos Buttler. Chris Lynn was DUCK out on the second ball of his inning. Robin Uthappa maintained the scorecard with his 48 runs on 36 balls, he hit six FOURS and two SIXES. Nitish Rana and Dinesh Kartik were not-out score 35 runs on 27 balls and 42 runs on 23 balls respectively. RR Inning: Shivam Mavi took the last of the inning, Lynn drops a simple catch of D Kulkarni on the first ball, Double on the second ball. Three WIDEs from the over. D Kulkarni Run Out on the fifth ball, and no run on the last ball. RR final score – 160/8 (20 Overs). Piyush Chawla is back into the attack with the ball in his hands. Chawla got Stokes on the first ball of the over caught by Nitish Rana. Just seven runs from the 17th over. Live Score, RR – 127/5 (17 Overs). Only two singles and two doubles are from the over. Runs scored 6, RR – 112/4 after 15 overs. Shivam Mavi is back into the attack. Four dot balls, a FOUR and a WICKET. Run Score four with one wicket in the 9th over. RR – 62/2 (9 Overs). Chawla again in attack, only two singles from the third over. RR – 9/0 in 3 Overs. Chawla will open the attack, Rahane on strike while D’Arcy Short on the other side. Three runs from the first over. IPL Live Score: RR – 3/0, 1 Over. Kolkata Knight Riders have won the toss and have chosen to bowl first. Where will the 15th IPL match between Rajasthan Royals and Kolkata Knight Riders be played? The 15th match of IPL 2018, Rajasthan vs Kolkata teams will be played at the Sawai Mansingh Stadium in Jaipur. What will be the time of Rajasthan Royals vs Kolkata Knight Riders IPL live match? The Rajasthan Royals vs Kolkata Knight Riders match to start at 8 PM (IST), Wednesday, April 18, 2018 (Today). 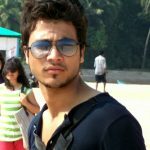 Where can we watch the IPL match of RR vs KKR Live TV coverage? The Kolkata Knight Riders and Rajasthan Royals match live TV coverage will be stream on Star Sports First, Star Sports 1 (HD), Star Sports 3 (HD). Where can we watch live Kolkata vs Rajasthan IPL cricket match streaming online for free*? 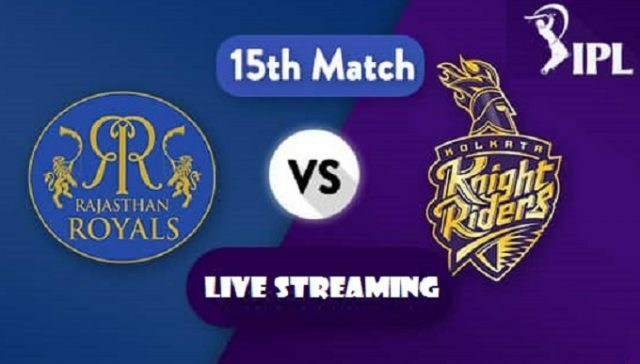 The Rajasthan Royals vs Kolkata Knight Riders match free live IPL streaming online can be watched on Hotstar App/Website, Jio TV, Airtel TV.